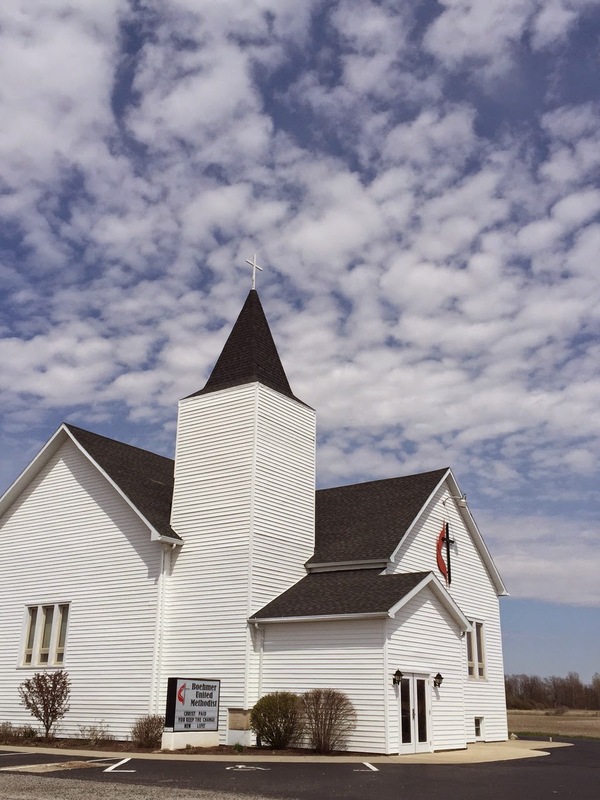 Last week, I traveled with my husband, our two boys, and my brother to a small town in Indiana to celebrate and memorialize the life of my grandmother Gigi who passed away last November. It was a bittersweet weekend, as family gatherings around funerals tend to be. We lamented the fact that we only gather under the saddest of circumstances, but there was joy in the gathering nonetheless. We told stories of Gigi’s long life, we visited the family farm, slid down the banister of our collective childhood memories and we wandered the town’s museum which displays our family’s history alongside the history of all the other families who built the small farming community. We gathered at a small church outside of town to learn that 88 years ago on that very day, my great-grandparents were married in that same spot. My Granddad and Gigi were married there as well, a couple of decades later, and remained one another’s most important person for nearly 64 years, until death parted them, as vowed. I stood on that sacred spot to speak, sharing memories of Gigi as a grandmother and great-grandmother to my kids, but I also shared the legacy she placed most firmly on my heart — that of her devoted marriage. 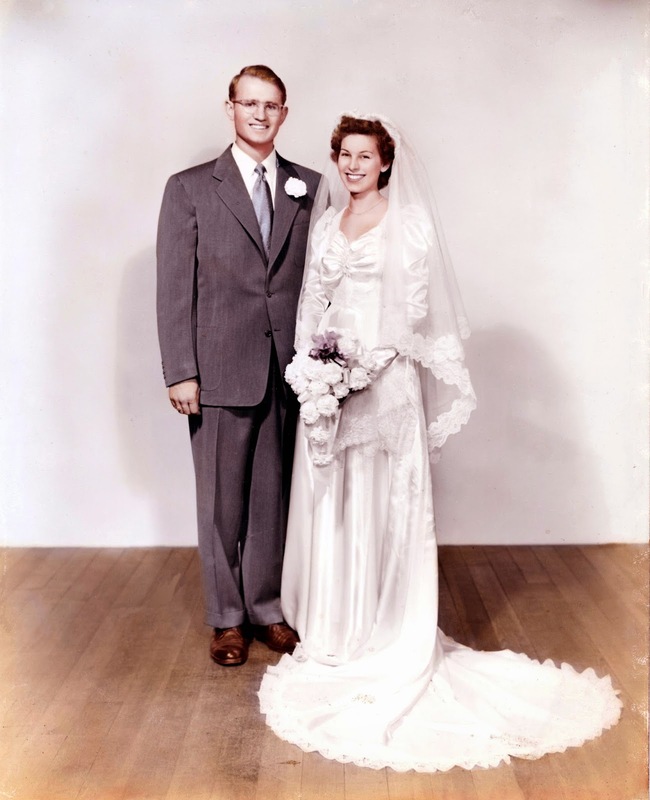 My grandparent’s marriage was not a fairy tale. They didn’t make it 64 years because they had it easier than others, or somehow avoided all of life’s stumbles and falls. They raised four kids together (three of them born within 13 months of one another) while my granddad traveled around the world for his job, leaving Gigi on her own with the often rambunctious (and that might be a generous word choice) kids for long periods of times. They faced all the normal frustrations and heartaches of parenting and life, but they faced them together. They spoke every day when they were apart, and as the kids grew, Gigi traveled with Granddad when he left. He never worked a single anniversary of their entire marriage. They compromised for one another, shared in each other’s interests and hobbies and I witnessed them let the other be right on numerous occasions. Those are only the small pieces I’m privileged to know. Like all marriages, theirs surely contained all the highs and lows and arguments and redemption that are theirs alone. But through it all, they knew that at the end of the day, they wanted to share their journey more than they wanted anything else. On the morning that Gigi passed away, Granddad shared his loss with the family, calling Gigi his “sweetheart, lover, love of my life, travel companion, roommate, mother of my children, and wife.” We don’t need fairy tales when we have a real-life love story like that. Our marriage isn’t a fairy tale either. Sometimes it’s described a little rose-colored by friends and family on the outside, and I understand that perception. I know that none of us truly knows the whole heart of another human being, yet alone another couple’s marriage. There are pieces of our marriage we share with others, just as there are pieces we will take to our graves, those parts that are ours alone to have and to hold, to cherish, to forgive, to celebrate and to honor. But I want to be absolutely clear that we work hard for our marriage. We make daily and monthly and yearly choices to serve one another, to communicate well, to resolve issues, to celebrate small victories, to lean into one another at every bump in the road rather then turn away. I often quote a Ben Folds song when I speak of my husband, saying that, “I know I am the luckiest,” but I also know it’s more than luck. We’re lucky not because some stars aligned and our souls were woven together before we were born; we’re lucky because we both keep choosing to intertwine them every day. Jason and I married relatively young, at 22 and 23 years of age. Last year, we celebrated our 13th wedding anniversary and in some of our social circles, we’re the old married couple. While I would be remiss to imply that 13 years of marriage is short, or easy, or not long enough to celebrate, last week, I saw the length of our marriage through new eyes. I realized that our marriage is just a teenager. Anyone who has raised kids to their teenage years (or remembers being a teenager well) knows that this is an important feat in and of itself. A lot changes in the first 13 years of life, as it did in our first 13 years of marriage. We were together several years before we married, lived out a long-distance relationship, studied and traveled abroad together, and set up our first adult home, complete with cockroaches the size of mice and leaking ceilings. We married right out of college while serving in AmeriCorps, living on a tiny income in Austin, Texas. We’ve lived in two additional states since then, had several career changes, birthed two children, gone back to school, adopted and lost pets, traveled, created art and theater and music, ran races and faced illnesses, heartaches and loss side by side. We have this binder of the love letters we wrote during our early years together, volumes of verbose prose (some of which I can’t read without blushing), but more than 13 years later, we now speak a language through our eyes and actions that is clearer than any words we’ve ever written one another. We’ve remained each other’s biggest fan and most important person in all the changes of 13 years. But 13 years pitted against the span of a lifetime makes our marriage but a brand new teenager. And how exciting is that? Because teenagers? They’re kind of amazing. Teenagers are perched on the brink of becoming, full of optimism and possibility, yet rebellious enough to question all the conventions and write their own life’s journey. They can still envision so many possible futures, while living deeply entrenched in the present. They sneak out of windows to be together and make out with reckless abandon and stare up at the night stars hand in hand as if time stops in that moment. Yes, please. To all of that. And if we are so lucky to live to see our 64th anniversary, that means we have more than 50 years still ahead of us. That’s a lifetime together yet to be written. That’s humbling and thrilling to me. I don’t know all the stories we’ll write but if I had to put money on it, I’d bet on at least one more move, a couple of new jobs, and another pet or two. I’d also bet on times of sickness and health, loss and celebration, and the unexpected at every other turn. But I’ve never been much of a betting woman. I’d rather just slip my hand into Jason’s, choose a path and keep on walking, together. Thank you Granddad and Gigi for letting us bear witness to your love. Aww, love this. My husband and I, too, are the “oldsters” in our circles, for the most part. We've been together for 12.5 years and married for 8 this June and… it seems so long and so short all at the same time. Thanks Dakota! I think the years with small kids, though difficult at times, are also such important refining years. We came out stronger after the sleepless nights were behind us, but in the middle of them it didn't always feel like that would be possible.